Lovely accommodation good position for walking, very clean and lovely welcome. Also the breakfast, jams, biscuits and Bread etc was a really good touch. Tracey the host was there to meet us and easily contactable. The apartment was spacious and a generous pantry was left for us. We were given complimentary necessary for breakfast and drinks, appreciated. Beautiful duplex brand new, clean and comfortable. The two bedroom apartment is clean and well equipped. We are impressed with Elaine from Citystay who waited for and welcomed us with a smile even after we were delayed by unexpected bad traffic. Our two-night stay happened to be one of the hottest days of the year but Elaine had prepared three fans without us needing to ask. The welcome pack included breakfast, which put our minds at rest as we did not need to worry about food-shopping. The two bathrooms, though a bit small, helped us through our morning rush. The location is good and close to amenities within pleasant walking distance. There was no fuss checking out as the process was very simple. We will definitely stay again when we next visit Cambridge. Чистый воздух и тихое место. Комфортные апартаменты. Отличный набор посуды. Большое спасибо за наряженную для нас к Рождеству елочку. Было очень приятно. Lock in a great price for Citystay - The Vie – rated 9.6 by recent guests! Citystay - The Vie This rating is a reflection of how the property compares to the industry standard when it comes to price, facilities and services available. It's based on a self-evaluation by the property. Use this rating to help choose your stay! 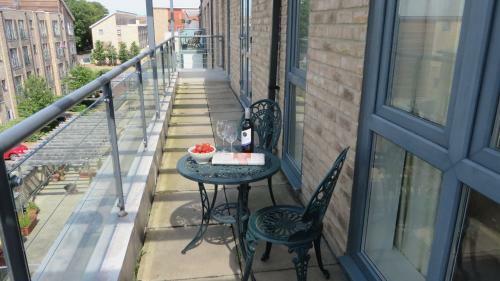 Located in a seclude part of Cambridge and close to the River Cam, Citystay – The Vie offers self-catering apartment accommodations. Each apartment has its own balcony, as well as free parking and free WiFi. The bedrooms and living rooms at Citystay – The Vie are decorated in a modern style, and allow in a lot of natural light through their large windows. Each living room also has a flat-screen TV, Blu-ray/DVD player and an iPod dock, while each bathroom has both a bath and shower. 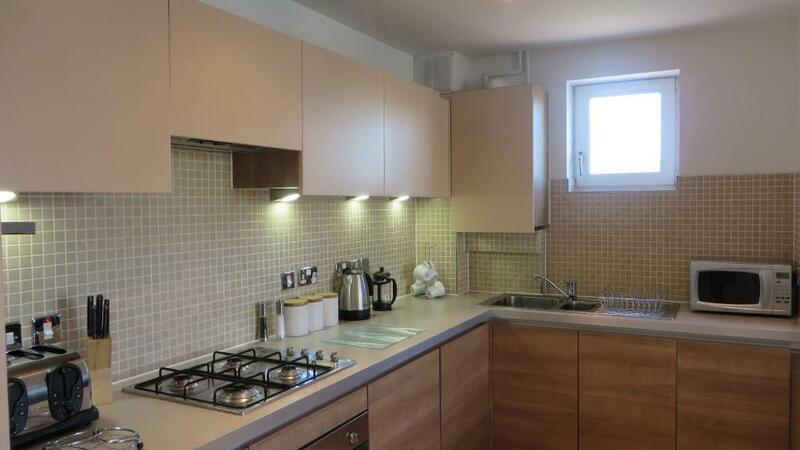 With a washing machine and tumble dryer, each kitchen also comes complete with a dishwasher and cooking facilities. For dining out, local pubs and restaurants are located within a 10-minute walk. Central Cambridge and the various colleges are a 10-minute bus ride away. Jesus Green is 1 miles from the apartments, while Cambridge Railway Station is less than 10 minutes away by car. 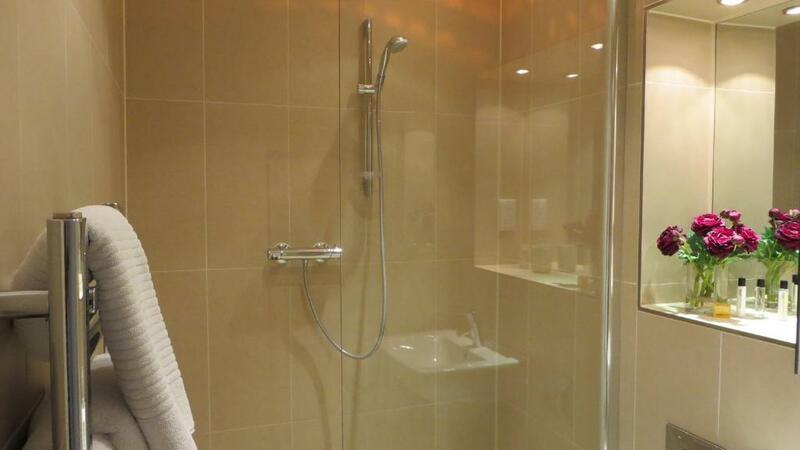 When would you like to stay at Citystay - The Vie? 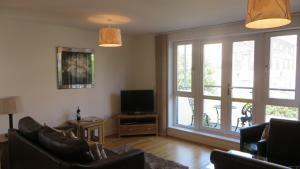 This apartment has a balcony, a washing machine and tumble dryer, and a fully-equipped kitchen with a dishwasher. There is also free parking. 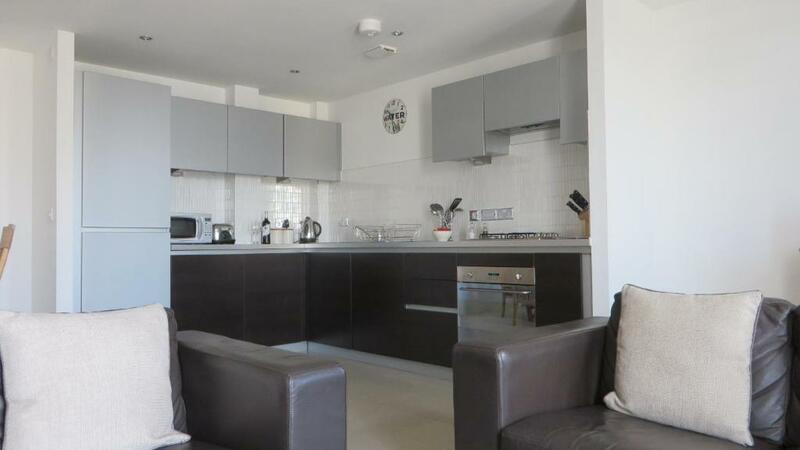 This apartment features a balcony, 2 bathrooms, a washing machine and tumble dryer, and a fully-equipped kitchen with a dishwasher. Overlooking the beautiful River Cam, Our apartment at The Vie are a short meandering riverside walk to the historic city of Cambridge. One of Citystay's USP's is that each time someone books with us, we donate money to a charity called The Lifeline Fund, who support orphans in the African Country of Malawi. We donate enough from each stay to house, feed, clothe and educate and orphan for an entire month. Included in the price of each booking is a well-stocked fresh welcome pack which includes:- Bread, Cereals, Preserves, Tea, Coffee, Sugar, Milk, Fresh Fruit, Fresh Fruit Juice, Mineral Water, Biscuits, Dishwasher Tablets, Washing Powder & Designer Toiletries. Citystay are the leading provider of Serviced Apartments in Cambridge. 5 Star and Gold Awarded for Excellence of Apartments and Customer service for each of the 8 years we have been in existence. 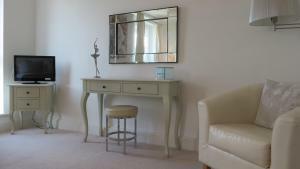 Situated in Chesterton close to both Cambridge Science and Business Parks. House Rules Citystay - The Vie takes special requests – add in the next step! 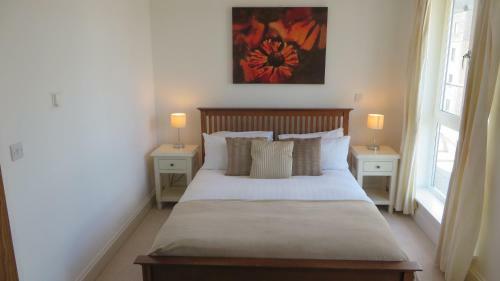 Any additional older children or adults are charged GBP 18 per night for extra beds. Citystay - The Vie accepts these cards and reserves the right to temporarily hold an amount prior to arrival. Please inform Citystay - The Vie of your expected arrival time in advance. You can use the Special Requests box when booking, or contact the property directly using the contact details in your confirmation. Both bathrooms are internal to the apartment, which affects ventilation, but it was not really a big issue for a two-night stay.